Blue Pepper offers a selection of exotic and lavish dishes from the classic and contemporary Indonesian kitchens. 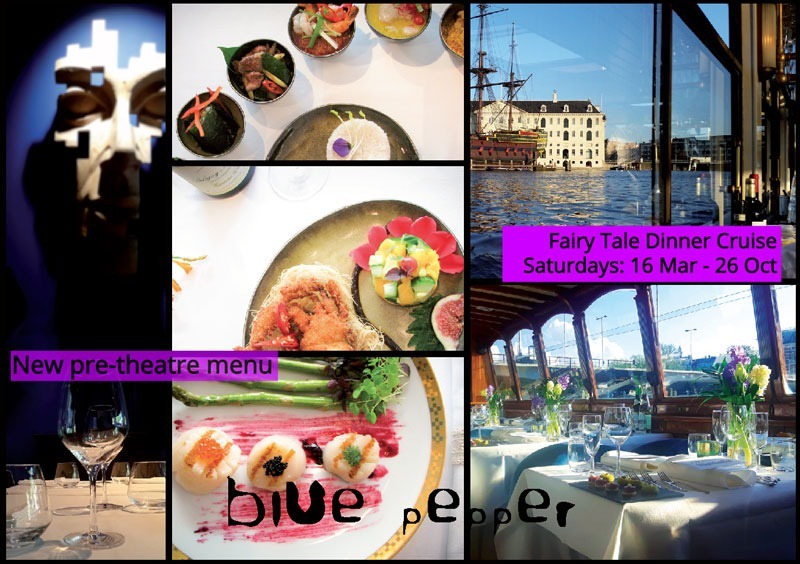 The restaurant, located within a 5-minute walk of the theatre district Leidseplein and is open daily. The informal and intimate atmosphere, enhanced by sculptural fantasies and stage lighting, tries to create a unique Asian dining experience in town. Especially for theater visitors we serve a three-course Theater menu. Click here for dinner cruise info and reservations.